I just wanted to let you all know Imperfectly Painted is now on Facebook! You can add me as friend if you click the Facebook button in the right sidebar! I spent yesterday evening uploading all my swatches from my blog posts on there. I will update those swatches daily. I hope with Facebook I can connect with you all outside my blog. I encourage you to use Facebook to ask me questions, share comments, or make requests for my blog. 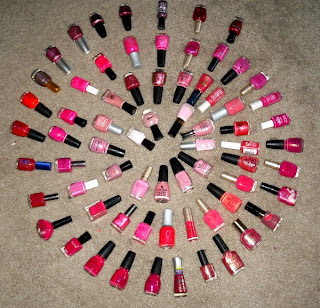 On last week's poll I asked how many nail polishes you have in your collection. It was across the board with 100-200 winning with 27%. I found it funny how there was a big gap between the 100-200 and the 300+. I'd say 100-200 is a big collection while 300+ is huge I guess there aren't many people in the in between stage of that. I have to admit. I am in the huge category. I actually thought I was in the 200-300 range until I recently recounted. 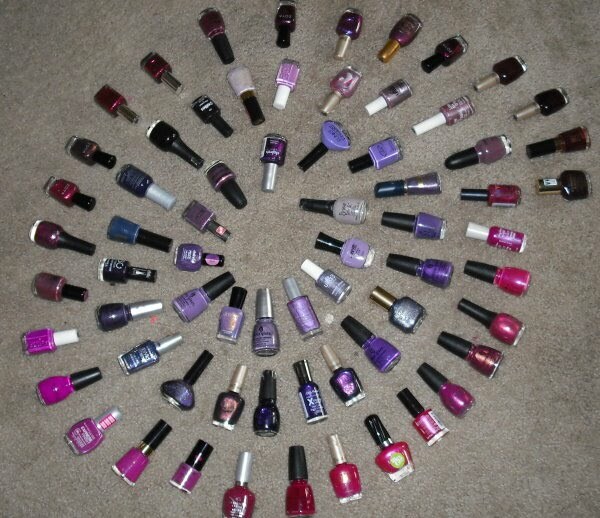 I currently have 344 bottles of nail polish not counting top coats and base coats. That number seems insane to me, and probably sounds even more insane to non-nail polish people. So lets just keep this between us? I told my dad this number and he jokingly told me I was a "beginner". 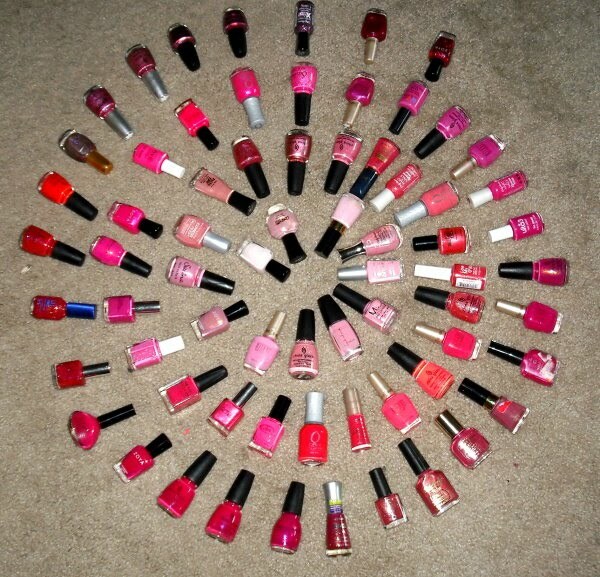 Lets take a walk through my collection by color! "Look at this stuff...isn't it neat? Wouldn't ya think my collection's complete?" Sorry had to thrown in some Little Mermaid in there. This can go two ways. You're either going to like it or think I'm certifiable :P! I realize now the way I laid out my polish looks like alien crop circles. LOL. Oh well, there ya go! 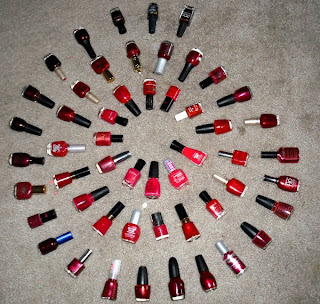 How many polishes do you have in your collection? Do you think your collection is going to grow rapidly or slowly creep up on you? 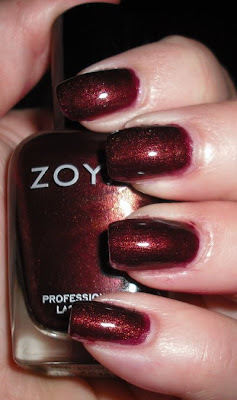 I didn't think I'd be able to do the Zoya Exchange this year, but I figured I'd be dumb not take advantage of the opportunity even if it means I hardly have any extra money to spend this month. I know the exchange ends tomorrow so if you're interested you need to put the pedal to the metal. It's a great offer! 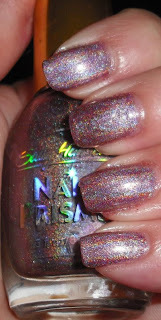 Anastasia..there is no way for me to describe this polish. The color changes depending on the light you are in. I'd have to say it's purple-brown shimmer with gold shimmer mixed in. It's a truly interesting polish that has been on my wishlist for over a year so I'm glad I got it! Gwin is a beautiful orange that leans slightly towards the coral side. 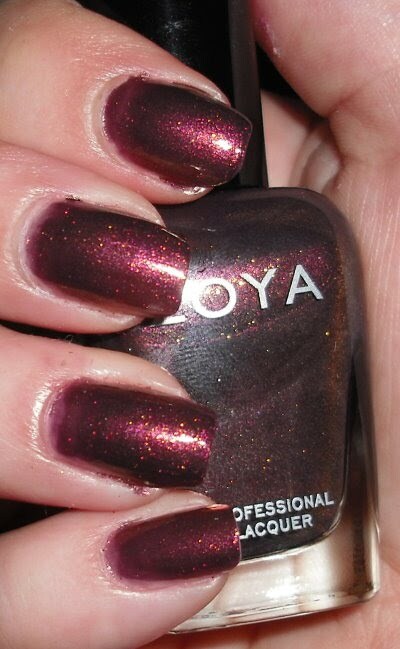 It has that beautiful Zoya signature gold shimmer that lights up this polish. 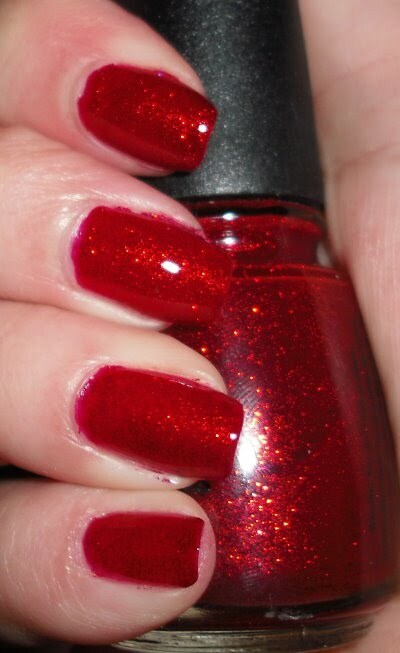 Kalista is a reddish-brown shimmer. 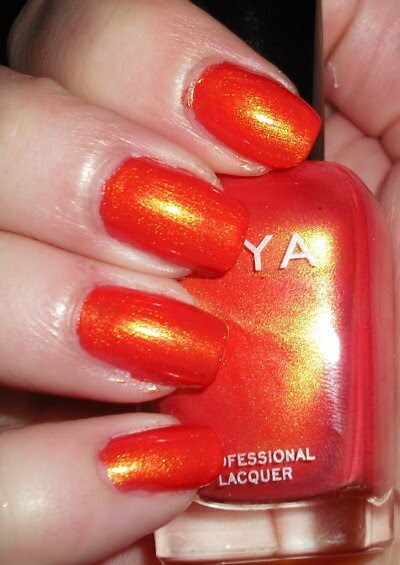 It's one of those polishes that looks great on its own, but once it hits the sun it comes alive. Oh Kotori, where have you been all my life? This by far is my favorite. Kotori is a black/gray base packed with a jewel toned turquoise shimmer. It is beautiful. It takes a few coats build up, but it is worth it. 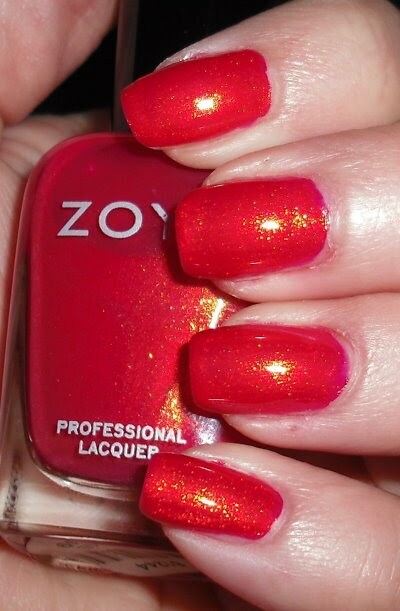 This is definitely an amazing creation by Zoya. I say this is a must have! Nidhi is part of the new Sparkle collection. It is a tomato red packed with iridescent glitter that changes from silver to yellow to green to blue depending on how you look at it. 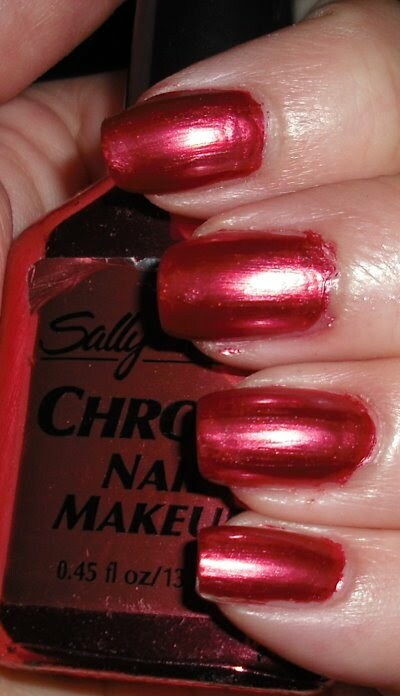 Unlike some glitters the red base of this color is truly a creme is it not jelly or sheer. It's quite unique and I can't pass up a great red! Rihana is a wine colored purple shimmer. It's one of those colors I think is a standard in many nail polishes collection, but I didn't have! It's beautiful color that has touches of red and blue shimmer to it. 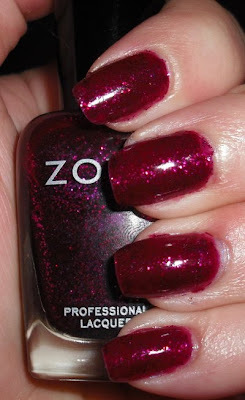 Roxy is a purple jelly base packed with purple and pink glitter. This color didn't "wow" me in pictures or in the bottle. It is simply one of those colors you have to see for yourself. 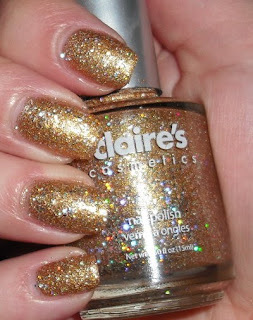 In person it really shines and sparkles! I'm glad I got this one. That's it for today. Sorry for my stinky descriptions and not so interesting of a post! Hopefully, my computer will be working right tomorrow! Did you get any polishes from the Zoya Exchange? What were your favorites you got? 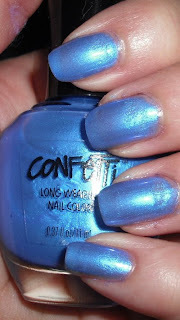 My nail polish love started back in December 2009. I remember some specifics one being what polish started it all. The polish that started it all is some unnamed mini Sally Hansen. 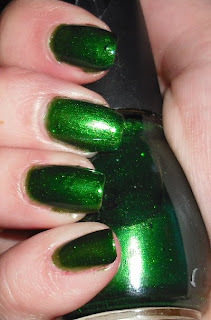 I have no idea the name of this polish if anyone can ID this that would be great! 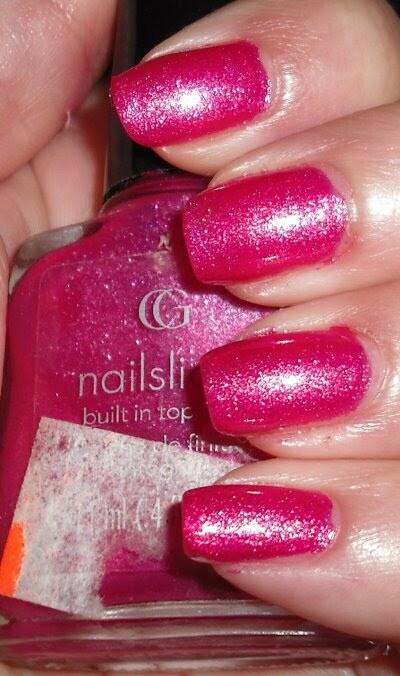 It's medium pink with pink shimmer throughout. Nothing special eh? 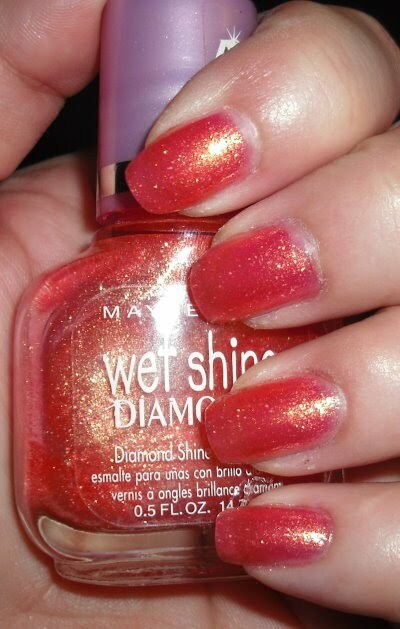 I found this polish in a set with a few others at Target. It was getting very close to Christmas and I believe these were in a display with other "stocking stuffer" type beauty items. I saw this set and another set. I remember it taking me awhile to pick which set I wanted, but I ended up going with this one. I don't know what compelled me to buy it. 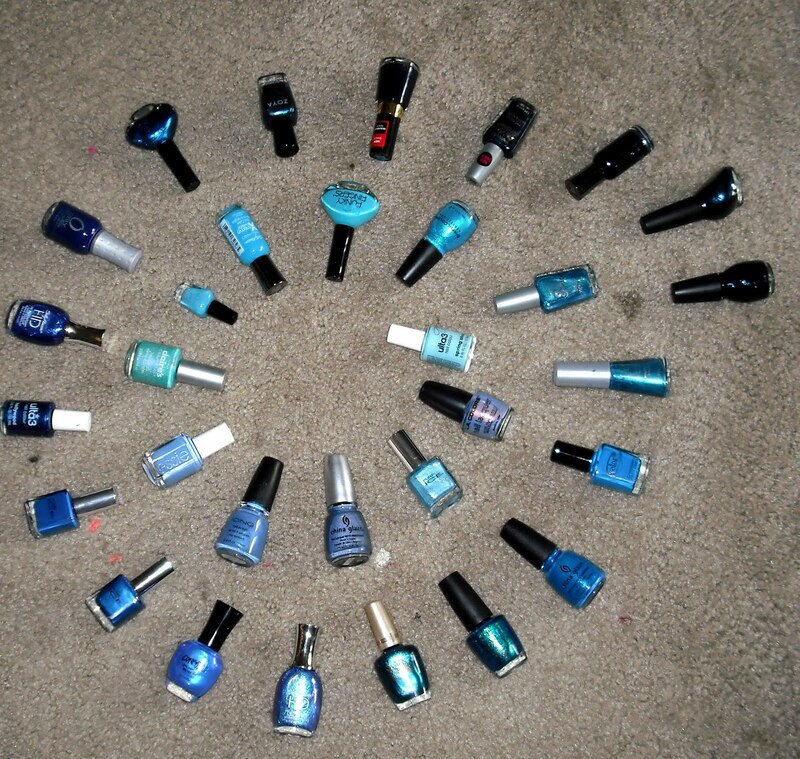 I had never really been "into" nail polish. 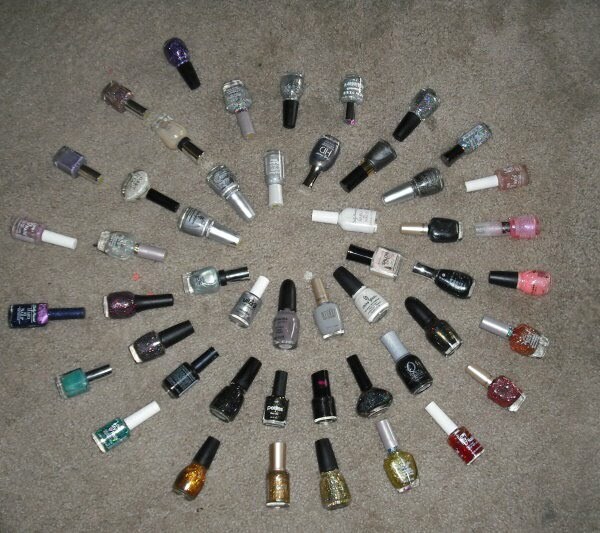 I had a few random bottles that I would wear maybe 2-3 times a year, I'd sport bare nails or, I'd go and get acrylic french manicures every month and get fills every 2 weeks. 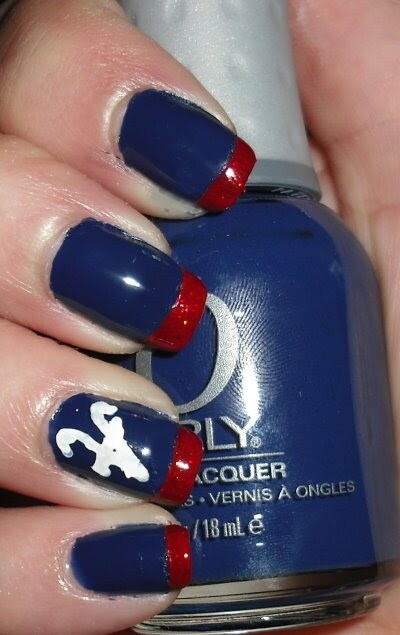 Ugh, those acrylics screwed my nails up! I will NEVER do that again. The lady who did my nails ended up leaving that salon, so I just stopped getting them done and I guess the idea to just have some more nail polish options sounded interesting. I ended painting my nails with that pink first and I really wanted to try out all the other colors. So, every 2-3 days I'd try out a new color. While doing that I realized how fun painting my nails was and how neat the colors were. 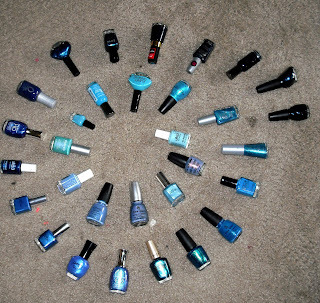 This opened me up to the wonderful world of nail polish. Ever since then I have been into it. 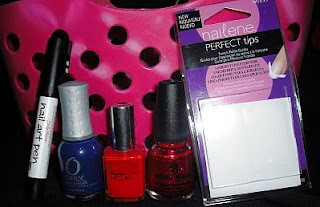 I started reading nail blogs and joined the nail board and Makeupalley and I was hooked. I discovered these brands like China Glaze, Orly, Essie, Finger Paints, and loads of others I had never heard of before. It's funny, that pink color isn't all that exciting or interesting, but it truly got me into this very fun hobby that I really enjoy. It took me forever to start a blog, but I'm so glad I did. I'm thrilled at all the connections and people I have met with this mutual obsession we all have! 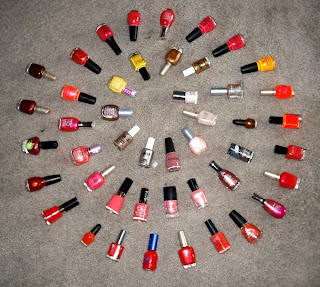 What got you in to nail polish? Was it a specific color, an event, something else, or has it always been something you loved? I'd love to hear everyone's stories on how they got into nail polish! I have no amount of patience. I was going to wait to post this until the 1st of July, but since I had all the stuff. i figured I'd post it now. My birthday is next month July 19th. In the birthday spirit I figured I'd do a birthday giveaway for you all! 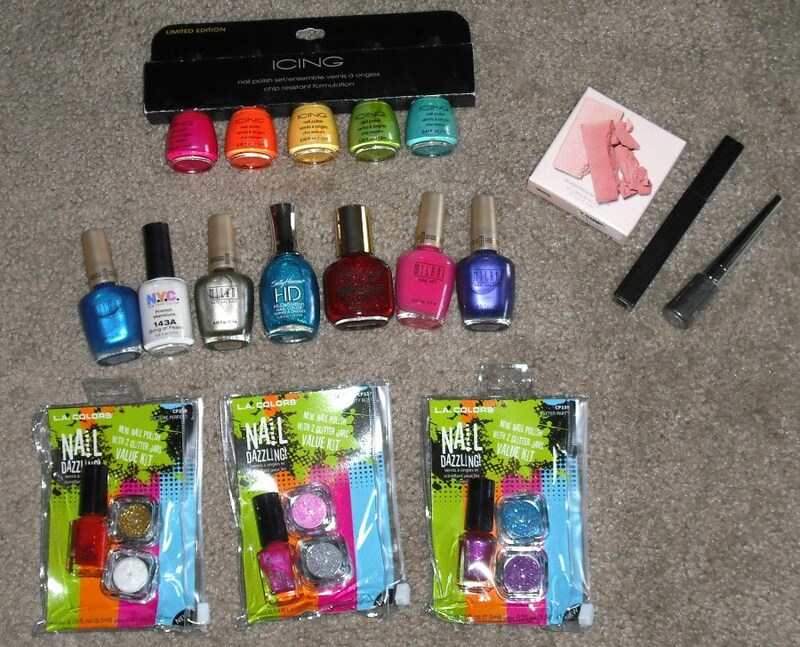 **All these products are brand new and unused WITH the exception of Sally Hansen HD Spectrum & Milani Purple Passion. They both were only used once. - You must be 18 or older to enter or if you are younger and live with your parents get their permission. -This is open internationally. However, if an international winner is chosen I will be shipping to them the least expensive way possible. -Winner will be announced on my birthday Monday July 19th! Note: I've added a formspring box on my sidebar. 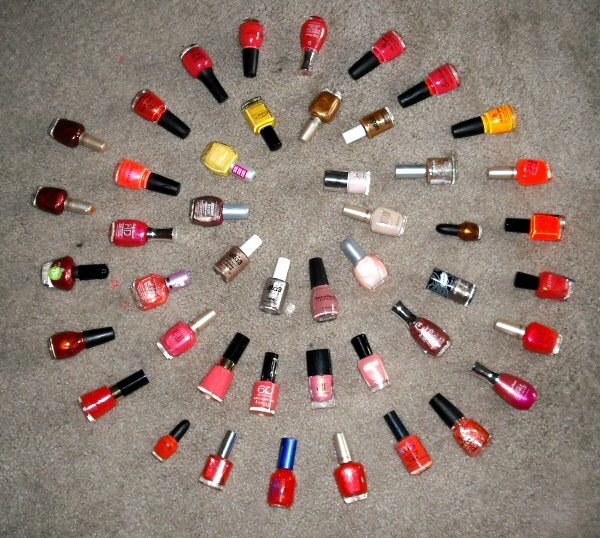 You can use that to ask me any questions you like..nail polish related or not. You know what I've noticed? 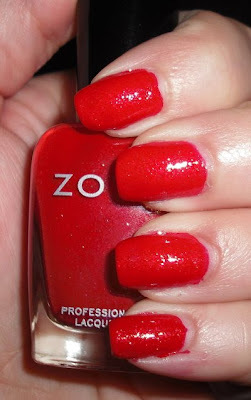 Many nail polish addicts seem to be a season ahead when it comes to color choices or eager to be in the next season. 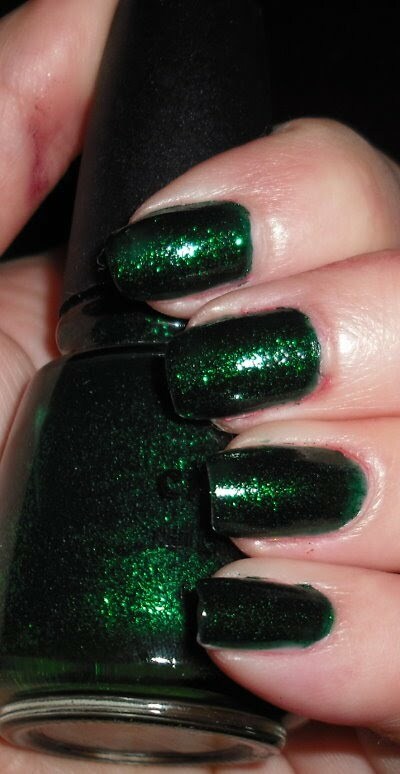 I read many posts on nail boards, twitter, and other blogs about how even though it's summer people are wanting to wear more fall-like colors or vampy shades. Speaking of more muted and fall-like colors I'm going to share with you the rest of the Sephora by OPI shades I purchased recently. On Stage is what I would describe as a medium muted lavender/plum creme. I'd consider it a neutral where it could go with anything. I don't know what it is, but this color seems very hip to me. I'm not a trendy person. Instead of "That's so last season!" I'm more like "That's so 10 years ago". I am clueless, but this color seems trendy to me. Metro Chic is a medium purple-toned grey taupe. 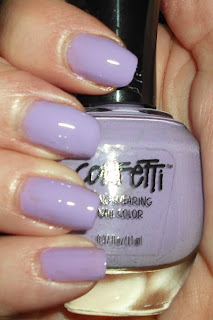 This color got a ton of buzz last fall, so I knew I wanted to purchase it when I had the gift card. I think this and On Stage a very similar as far as being a neutral muted shade. I really like this one. I'm very proud of myself. I have to admit before I started blogging I was very close minded about colors. I stuck to what I thought looked good on me and didn't venture elsewhere. Lately, I've been interested in trying out colors I dismissed before. The shades above are great examples. Muted shades and taupes never appealed to me before, but after trying these out I'm in love! Do you find yourself craving fall colors even though it's summer (or the opposite for my S. Hemisphere friends)? Are there colors or finishes you've dismissed before, but are now interested in trying or have found out you love? No, just no. I am definitely not a Barbie girl in any sense. I won't continue that song that plagued my youth. 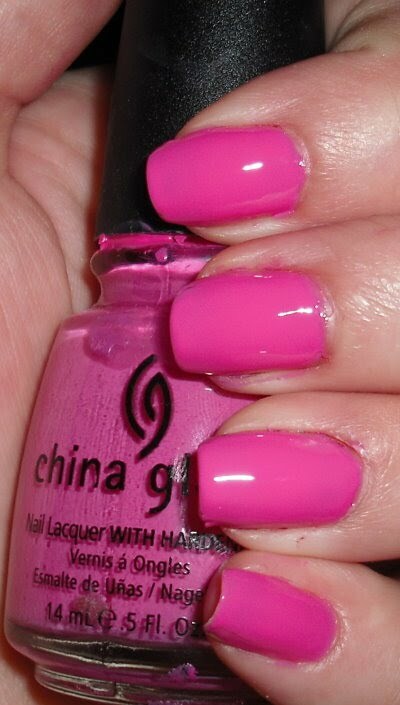 However, today's color definitely reminds me of that perfect Barbie Pink. I actually don't have many issues with Barbie, just that ridiculous song! 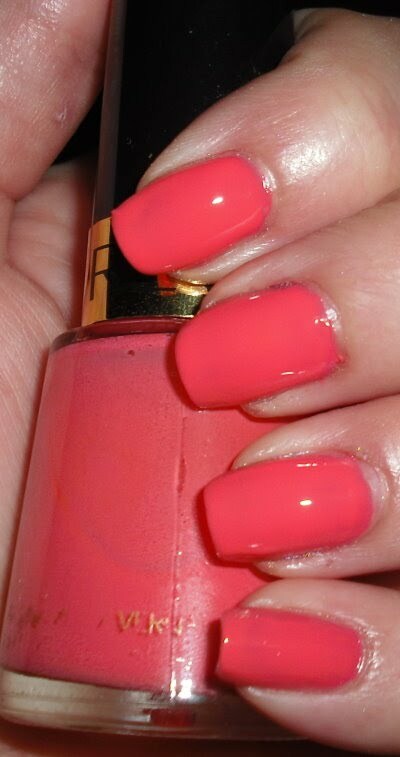 Rich & Famous is a cool toned pink creme. As you can see my bottle is in rough shape. 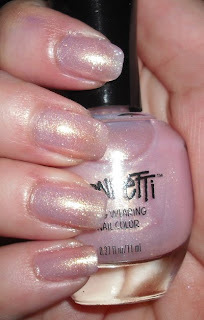 This polish has gotten a lot of use out of it that I was completely not conciously aware of. I really like this color, but I guess I like it more than I thought because compared to other bottles this is about 1/3 empty. It's a great creme color. I think it is just one of those staple creme colors that can work with anything. This color reminds me exactly of the color of those Barbie clothes cases from the late 80's early 90's and Barbie cars. I never had those cases and cars, but my best friend did. I was SO jealous of my friend. She had storage boxes full of Barbie clothes. She had multiple cases, Barbies, and she even had that awesome Barbie McDonalds set that came with the drive-thru window. I spent a lot of time playing at my friends house! She also had cool nail polish too, this was before I was into it, but I remember she had a nice stash!! 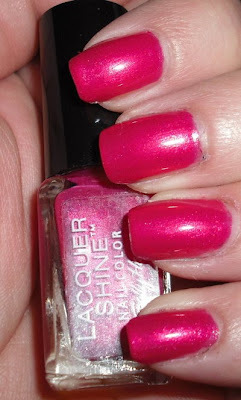 I don't really have any nail polish related question for you today, but how about a Barbie one? Did you like Barbies growing up or other dolls? Were you a girly girl? I liked Barbies growing up, but I hated other dolls especially baby dolls. I wouldn't say I was a girly girl but I wasn't a tomboy either. I was in the middle!